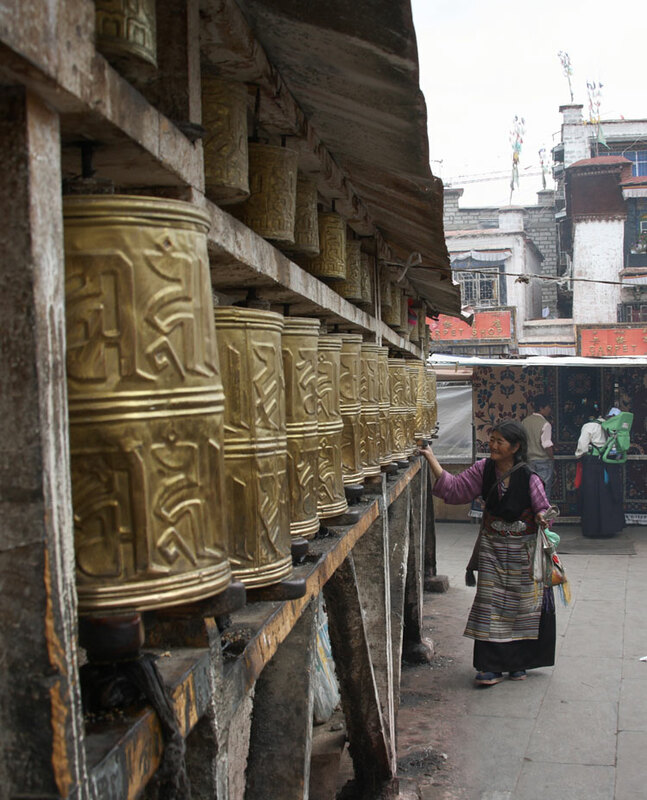 An urban - but no less profound - kora in the bustle of Lhasa, around the Jokhang (Tibet's holiest temple). 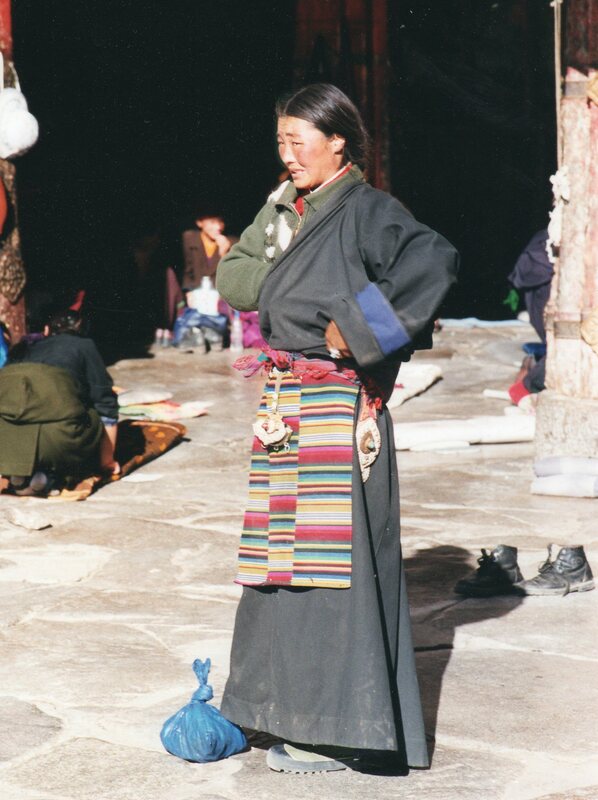 The metropolitan sophisticate among koras, the Barkhor Kora in Lhasa circuits Tibet'sholiest temple, the Jokhang. 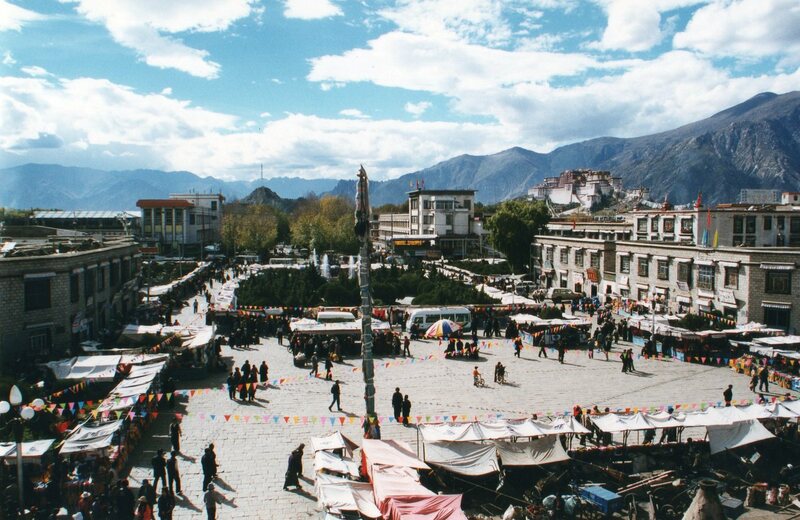 It winds through the effervescent, idiosyncratic streets of the Tibetan quarter of Lhasa, thronged by a wondrous array of pilgrims from all overethnic Tibet, some travelling for weeks on foot, horse, yak or crammed into open trucks. Tall, swashbuckling countrymen, some in sparkling white silk shirts with red woollen strands woven into their long plaits, daggers in their belts, mingle with tiny old men, almost black and deeply wrinkled from the weather, with lanky, unkempt locks and filthy, much patched coats. 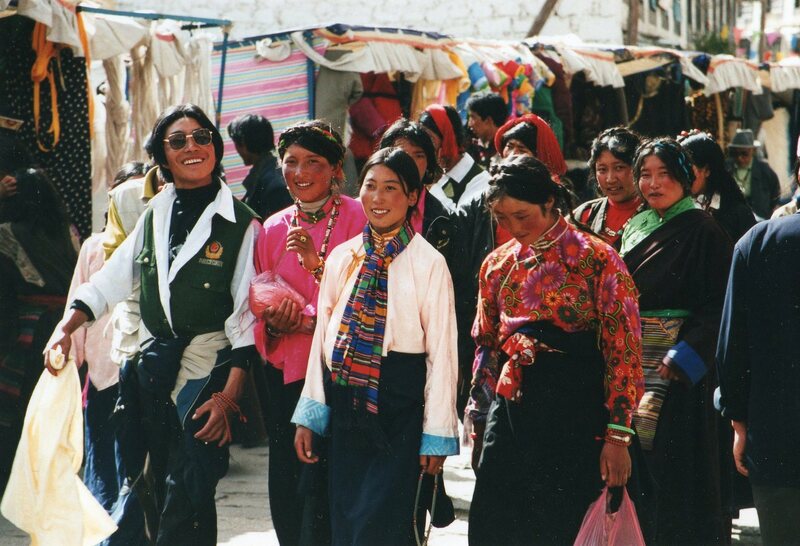 They are from Amdo, the dirt-poor area in the North East. The women range from apple-cheeked beauties sporting huge turquoise ornaments in their hair and dangling as necklaces, with black coats and brightly woven aprons, to wizened, bent old crones from Amdo, as unkempt as their husbands, ushering their dirty but touching families along. All are in their finest (if they have it) and amble, staring open mouthed, in an almost pantomime performance of country folk in the big city. 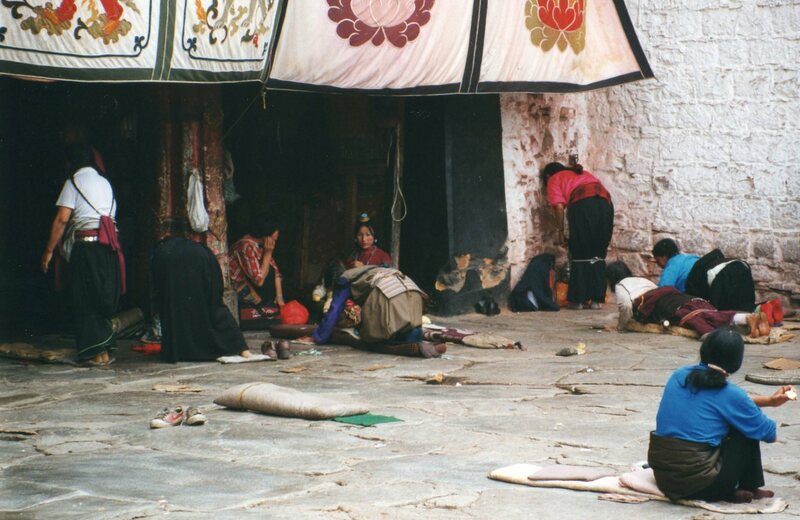 All over Tibet, pilgrims prostrate themselves before holy sites or images. Some have this down to a fine art, with padded mats to spread themselves on and wooden or plastic paddles under their hands as they lurch forward. 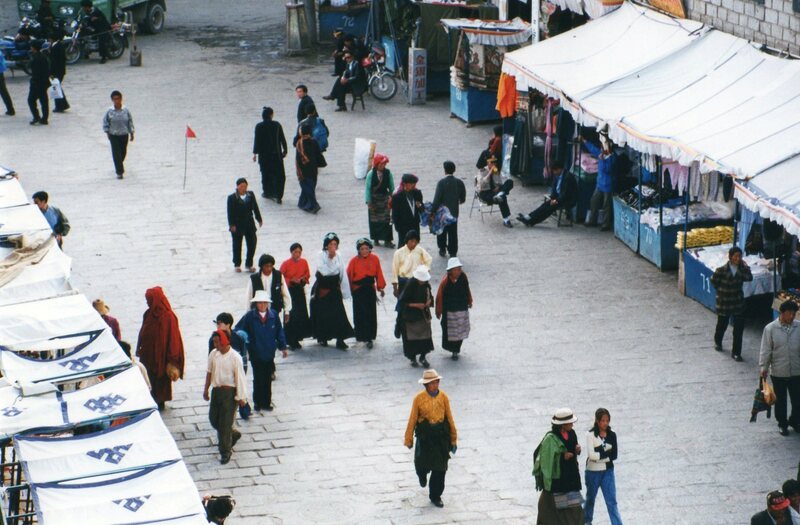 As you approach the Jokhang, you can hear a unique swishing sound from all this activity. 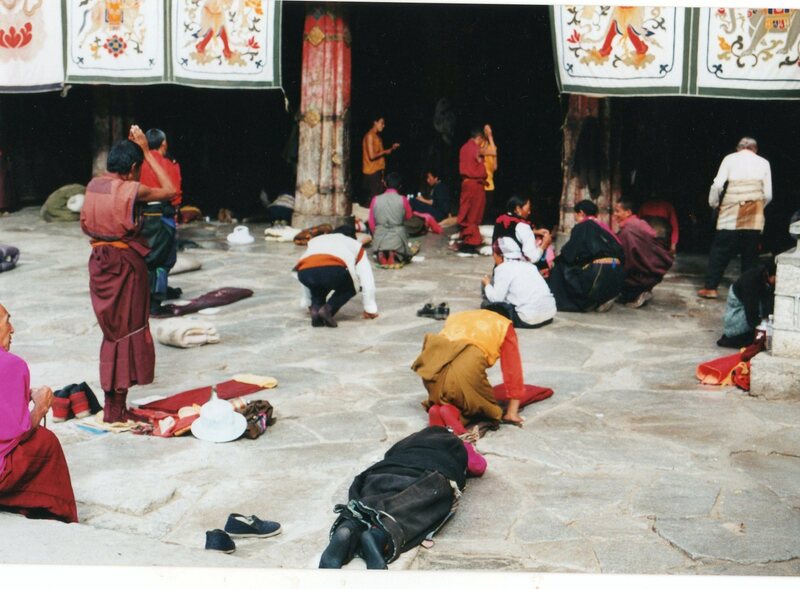 Some particularly ardent pilgrims do this all day for a month, and on the Kora we had to avoid tripping over prostrate figures, who go the whole way round (a distance of at least half a kilometer) starting one prostration where the last finished. 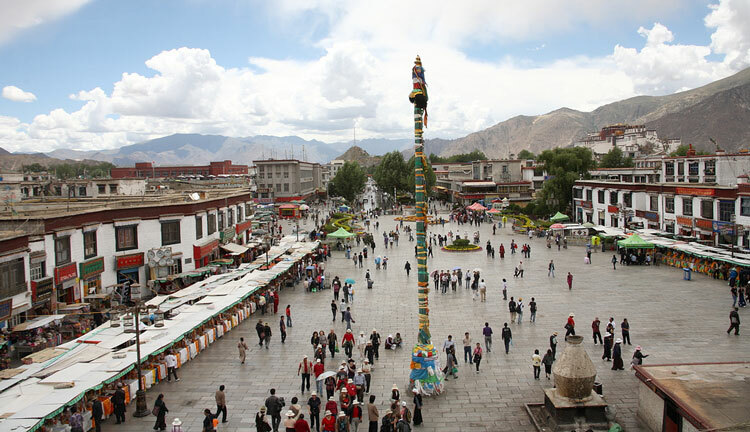 The Jokhang is a dark, numinous place. Golden statutes glow in the light of serried yak butter candles, and massive wall paintings can be dimly discerned. The pungent, rancid smell of yak butter is all-pervasive. Things seem to have changed a bit since a journalist accompanying the 1903-4 Younghusband expedition described its floor as like a skating rink: instead, our shoes made a sticky, paper-tearing sound with each step.Long files of muttering pilgrims shuffle clockwise round every corner of it. Upstairs, in the libraries, they crawl under the shelving supporting the sacred texts, the better to show their reverence. 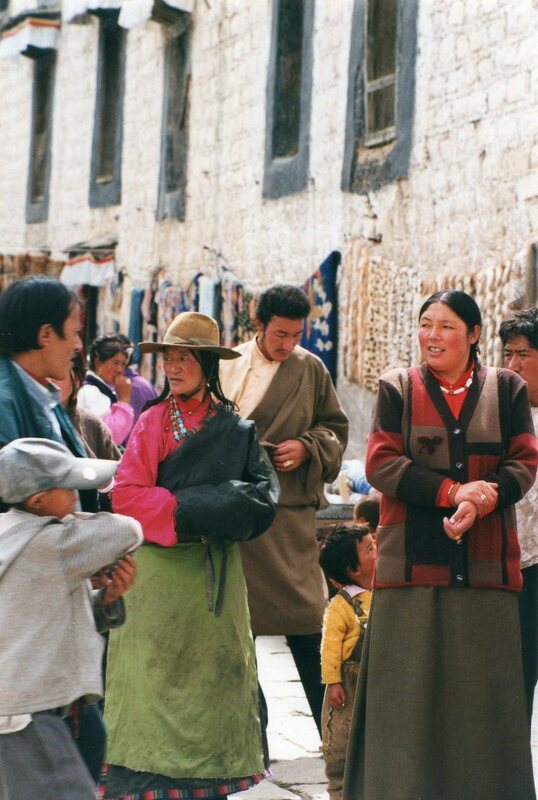 Round the Kora, stalls and shops sell everything from religious equipment (prayer flags, prayer wheels, rosaries and bowls made from human skulls) to saddlery, felt hats, boots and other more mundane clothing. 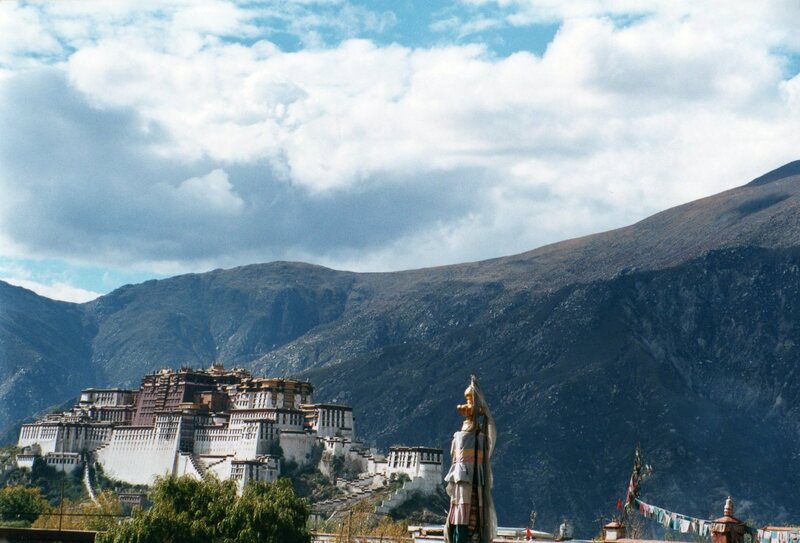 When we were there, a tiny, weatherbeaten old woman approached me, muttering incomprehensibly: we suspected an attempt to sell me something, or insanity, but we finally understood that she was asking for a forbidden picture of the Dalai Lama. She was running a big risk doing this in such a public place.